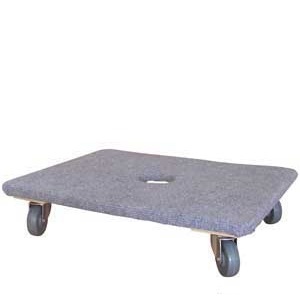 Padded timber dollies with a plywood platform. 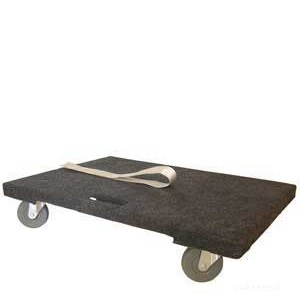 Dollies are an incredibly simple, yet effective tool. 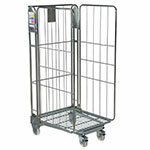 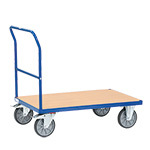 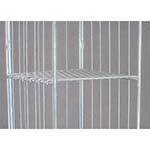 They're commonly used in warehouses, workshops, stockrooms and many more environments, their simple design allows operators to simply lift heavy / valuable items onto the platform before moving to the desired location and once finished they are light enough to carry. 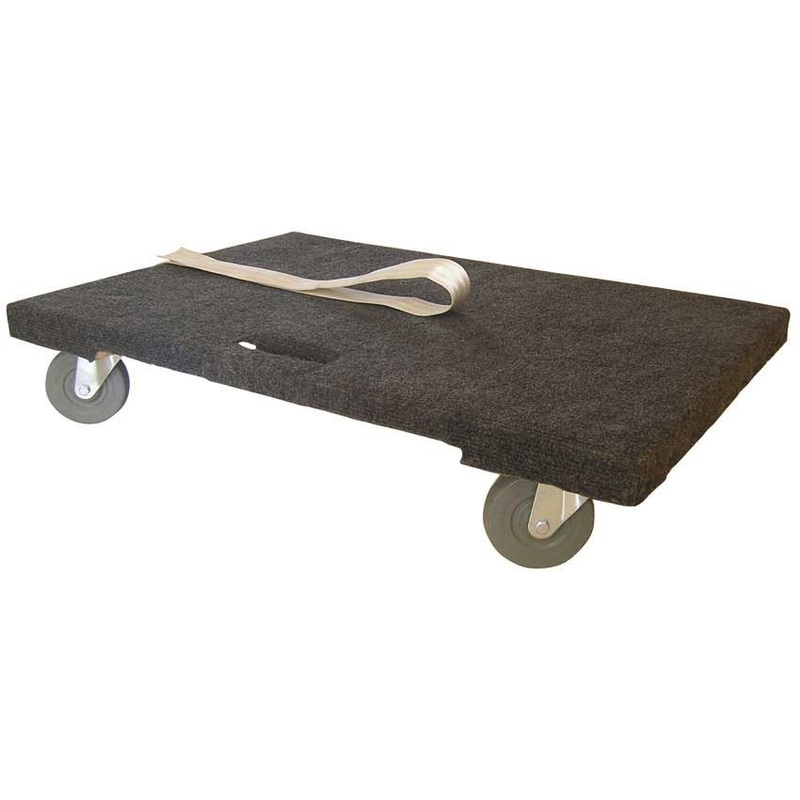 These padded timber dollies are an improved version of our economy wooden dollies, one of the first differences you'll notice is that the platforms are fully covered by a carpet layer, this carpet layer provides a padded surface which is able to support and cushion valuable items during transportation further lowering the risk of damage and scratching. 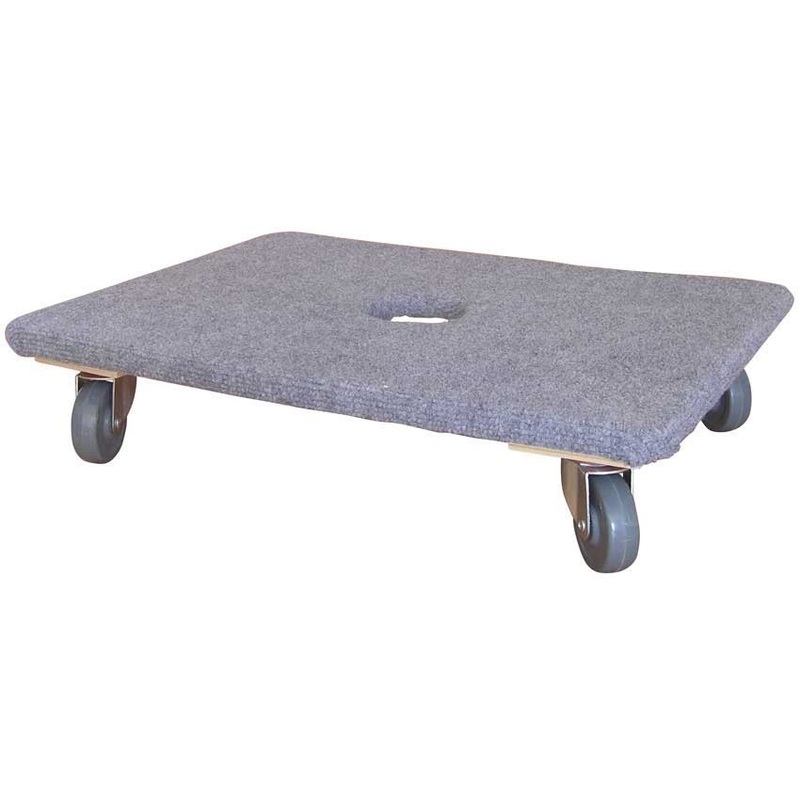 As you look further you'll also notice that both of these padded dollies are fitted with a hand hole designed to allow operators to lift the dolly whenever necessary. Underneath, there's a large plywood platform, as dollies are designed without lips oversized items can be transported with ease. 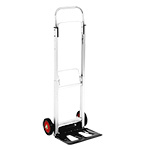 Both dollies are supplied with four polypropylene swivel castors designed for use on fairly smooth surfaces these castors swivel allowing the operator to quickly change direction with ease.